Academic Health Centers (AHCs) have a unique challenge in effectively and simultaneously meeting the demands of all three areas of their mission: education, research, and patient care. In particular, AHCs must adapt quickly to the rapidly evolving and complex health care system in order to remain competitive, and their governance structures, leadership, and policies must facilitate such nimbleness. AHCs nationally have struggled to find the most appropriate structure to meet their particular needs, and a number of governance models exist. 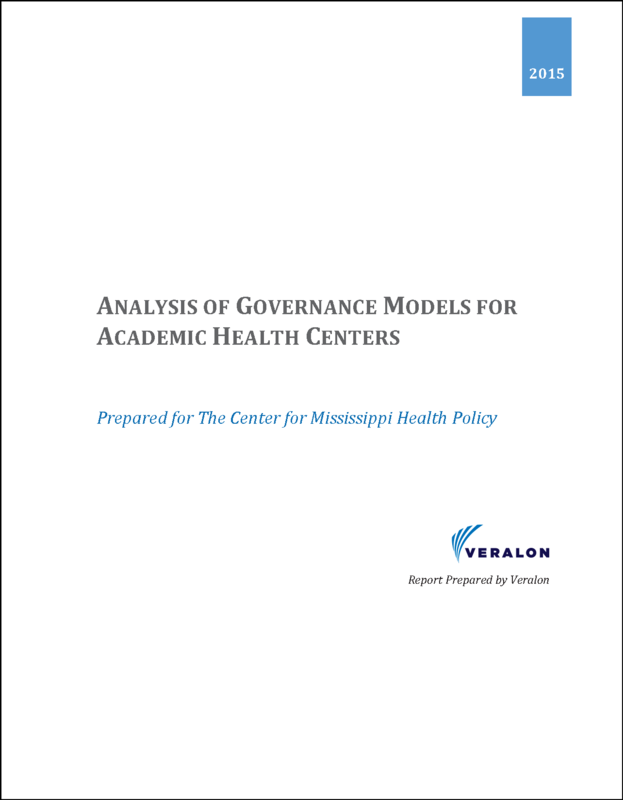 The Center for Mississippi Health Policy commissioned Veralon Partners, Inc. to conduct an analysis of models and best practices nationwide related to governance of academic health centers and apply the findings to the University of Mississippi Medical Center. Veralon has produced a detailed report of this research, and the Center has developed an issue brief that summarizes the key findings of the analysis and examines policy implications for Mississippi. Unlike UMMC, most state-based public universities with a medical school (and associated AHC) are not governed directly by the state (nor are their related AHCs). 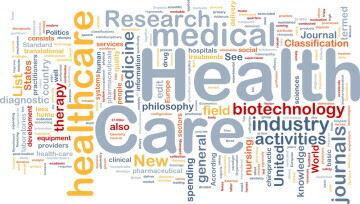 Due to the complexity of AHCs, the fast pace of change and high degree of competition in the health care industry, effective AHC governance requires specific expertise and the ability to make timely decisions. 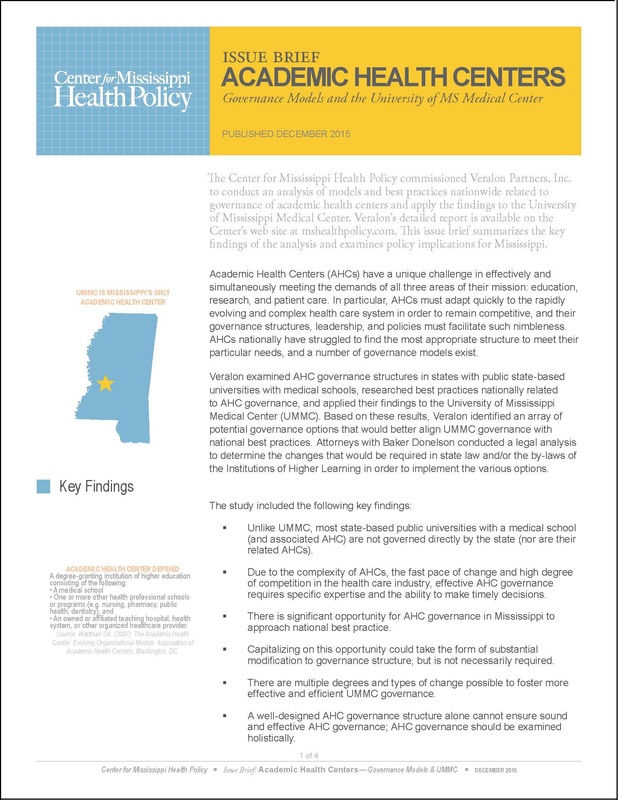 There is significant opportunity for AHC governance in Mississippi to approach national best practices. Capitalizing on this opportunity could take the form of substantial modification to UMMC’s governance structure, but does not require it. There are multiple degrees and types of change possible to foster more effective and efficient UMMC governance. A well-designed AHC governance structure alone cannot ensure sound and effective AHC governance; AHC governance should be examined holistically. Decisions of UMMC’s governing body affects state health policy, and the current IHL board is structured to govern higher education, not health care. Governance decisions must balance short-term risks and long-term gains, the cost and difficulty of change implementation, and the degree of operational and strategic benefits, and should consider the cultural transformation needed to sustain any change. The primary focus should be on how reimagined governance structure and policy could improve UMMC viability and future growth potential. All risks associated with pursuing change efforts should be compared against the risk of doing nothing in a fast-paced and increasingly competitive and complex academic health care marketplace. To download a copy of the issue brief click HERE. To download a copy of the detailed report click HERE.